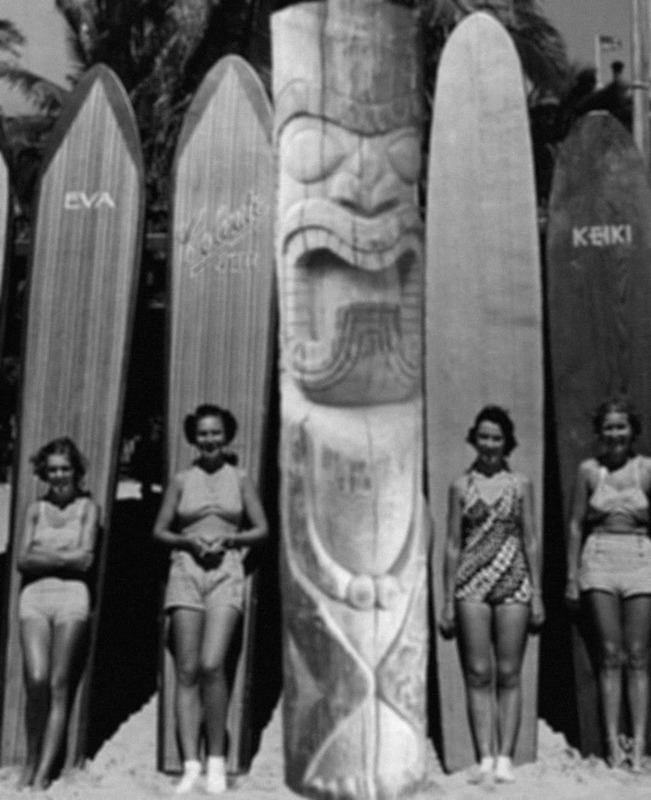 The first tiki bar was “Don the Beachcomber”, opened in Los Angeles in 1933 by Ernest Gantt (aka “Donn Beach”). 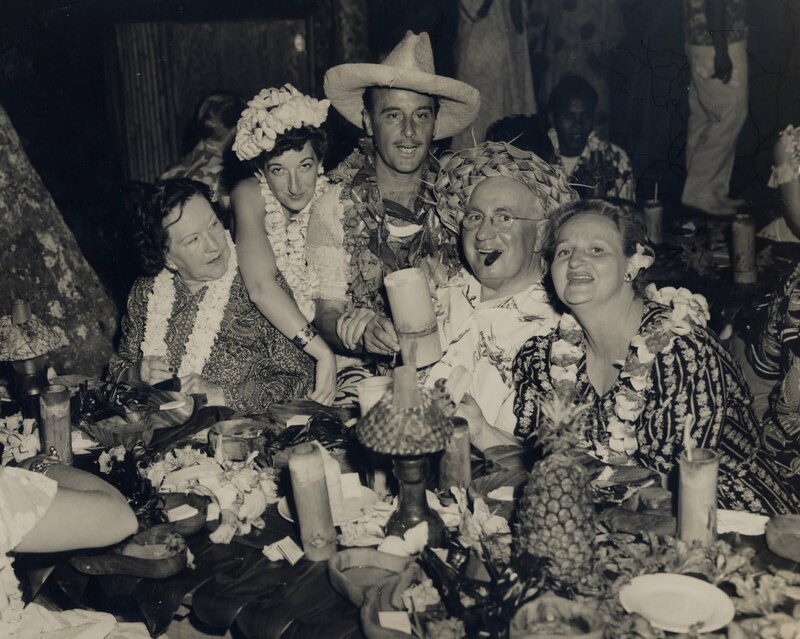 Gantt, a Texas native, had left home in 1926 and traveled around the world on his own, scouring many of the islands of the Caribbean and the South Pacific. 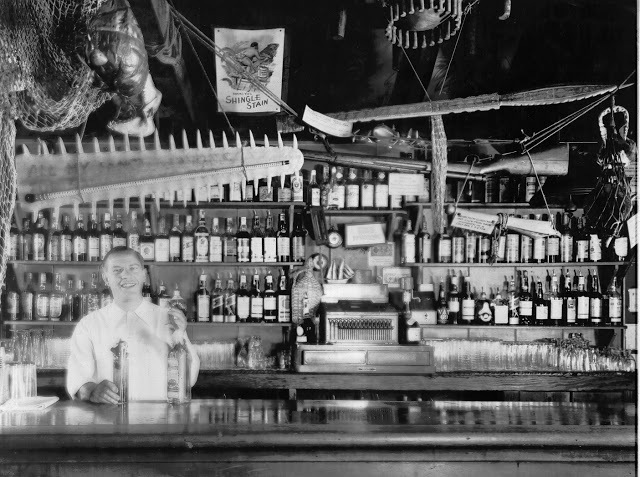 A former bootlegger during Prohibition he moved to Hollywood in the 1930s. The bar served a wide variety of exotic rum drinks (including the popular “Sumatra Kula” and “Zombie cocktail”) as well as Cantonese food, and displayed artifacts that Gantt had collected on earlier trips through the tropics. 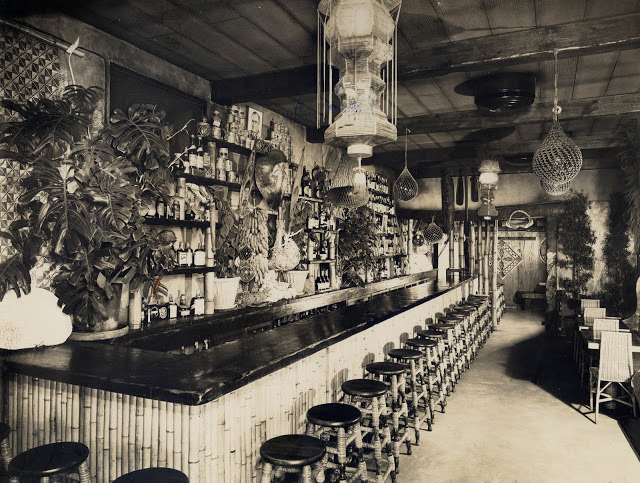 Gantt devised a menu of exotic rum based cocktails that complemented the theme of his new tropical establishment. Gantt referred to his newly created rum based libations as his “Rum Rhapsodies”. Rum was cheap and readily available in the years after Prohibition, and Gantt had sampled many varieties of it during his travels. Rum came in many varieties; light and dark, aged and unaged, strong, stronger and stronger still, and created layers of nuanced flavours when expertly mixed with each other, and with tropical ingredients like fresh fruit juices, almond, vanilla & cinnamon syrups, and ingredients like absinthe and bitters. 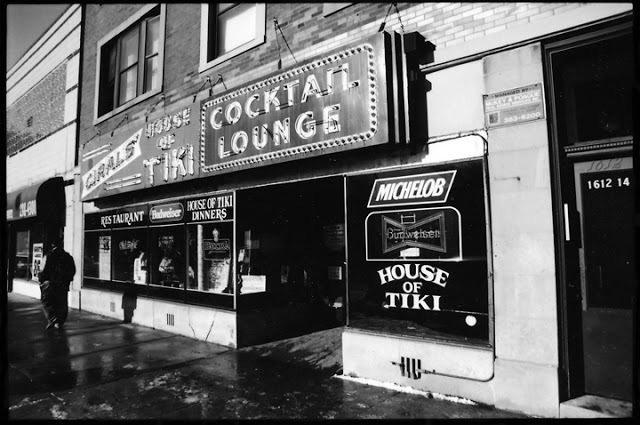 Gantt’s new cocktails were innovative, flavourful and sophisticated, and they were an instant hit with his customers. Put all ingredients in a blender with ice, and blend for 5 seconds. Pour into a glass and garnish with a mint sprig. Howard Hughes was a regular at the Hollywood Don the Beachcomber: a story persists that Hughes struck and killed a pedestrian one night while driving home after consuming too many Zombies at the bar . 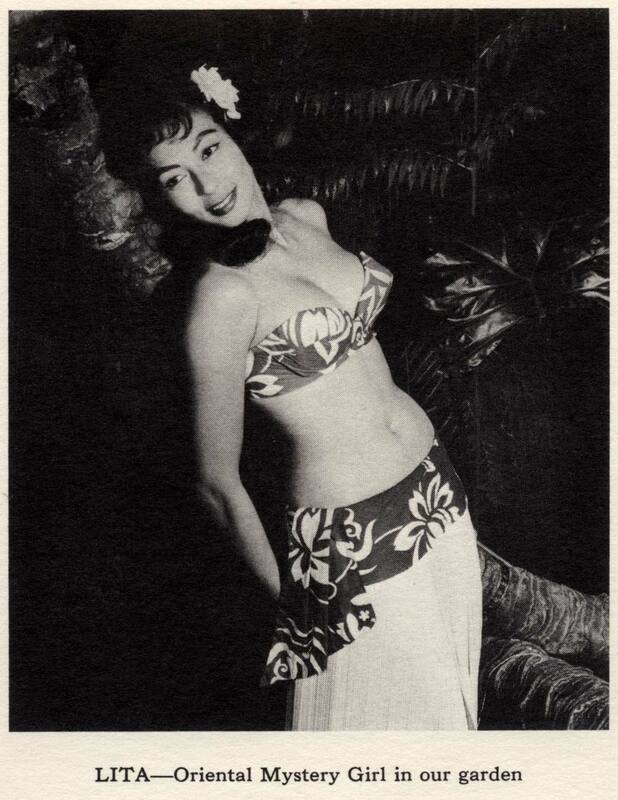 The other canonical bar is Trader Vic’s, the first of which was created by Victor Bergeron in Oakland, California, in 1936. The quintessential tiki cocktail the “Mai Tai” was concocted at the original Trader Vic’s in 1944. 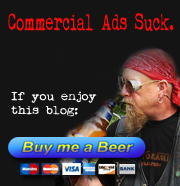 Bergeron expanded the business to eventually include branches all over the world, as well as marketing cocktail mixes and other products for retail sale. Members of the Bergeron family still have a hand in the operations of at least one branch. The original Oakland location is gone, but there is still a Trader Vic’s located a few miles away in Emeryville, California. 1/4 ounce Trader Vic’s Rock Candy Syrup. The mai tai is considered to be the quintessential tiki cocktail. A protracted feud between Donn Beach and Trader Vic erupted when both claimed to have invented it. 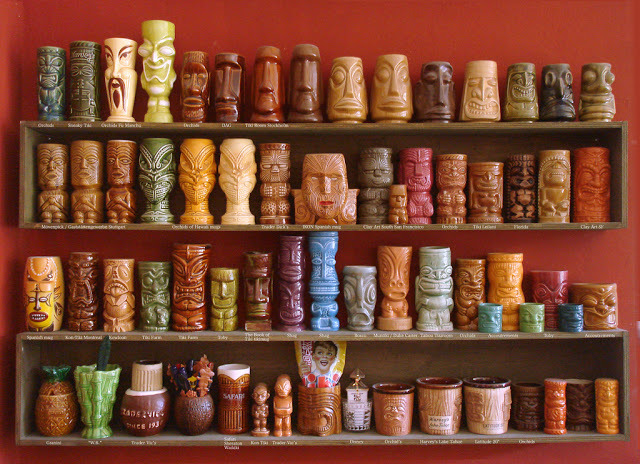 Most, if not all, tiki-themed establishments served at least some of their cocktails in ceramic mugs depicting tikis, also known as tiki mugs. The styles and sizes varied widely but generally the signature drink was served in it and it served as a take-home souvenir of the bar. Today the tiki mug is a highly prized find and is considered to be as much a symbol of the Tiki culture as a tiki itself. 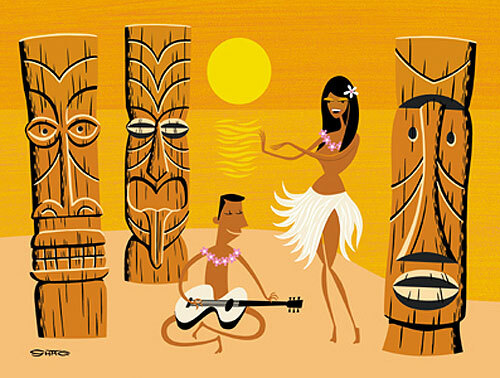 Today, Trader Vic’s is the only major restaurant chain still in operation. 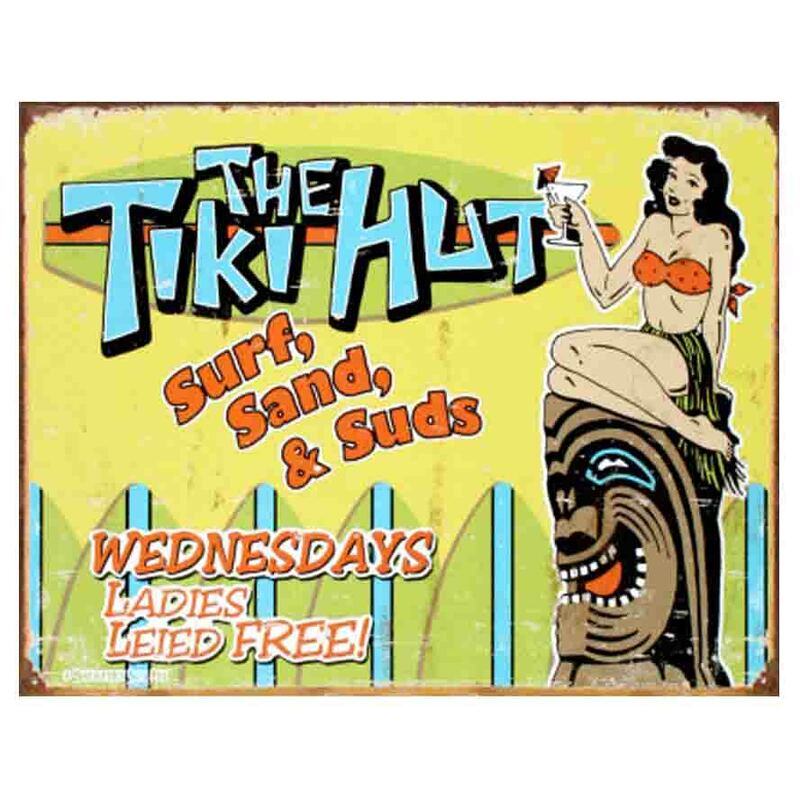 However, a new Don The Beachcomber was opened in Huntington Beach, California in 2009—having taken over Sam’s Seafood Restaurant/Kona. 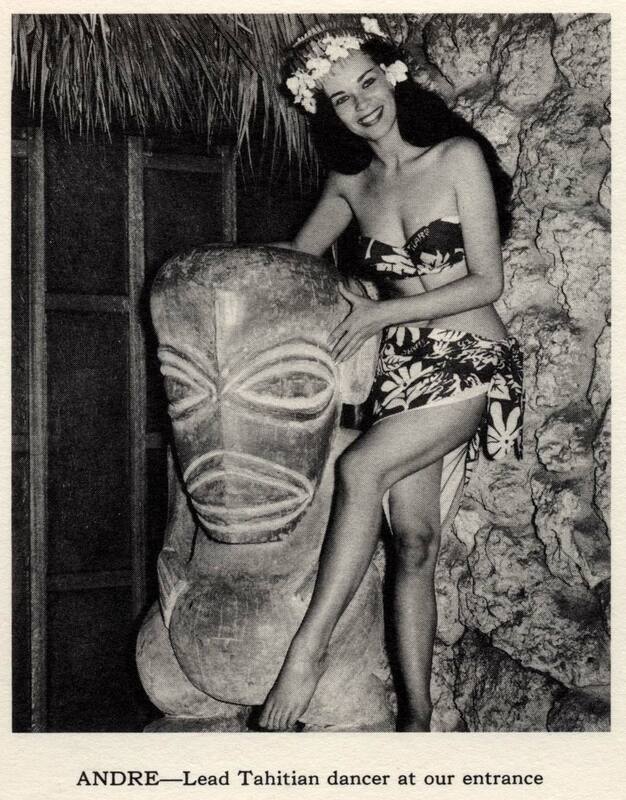 Sam’s was also a long lived tiki-themed restaurant that dated back to the 1940s. 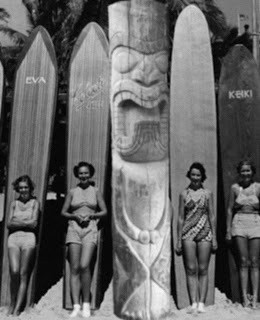 It was sold in 2007 and the name was changed to Kona for a short period before the current owner of the Don The Beachcomber corporate name took it over. The opening of the Don The Beachcomber in Huntington Beach in 2009 marks the first appearance of the tiki brand eatery on the mainland United States in over 30 years. 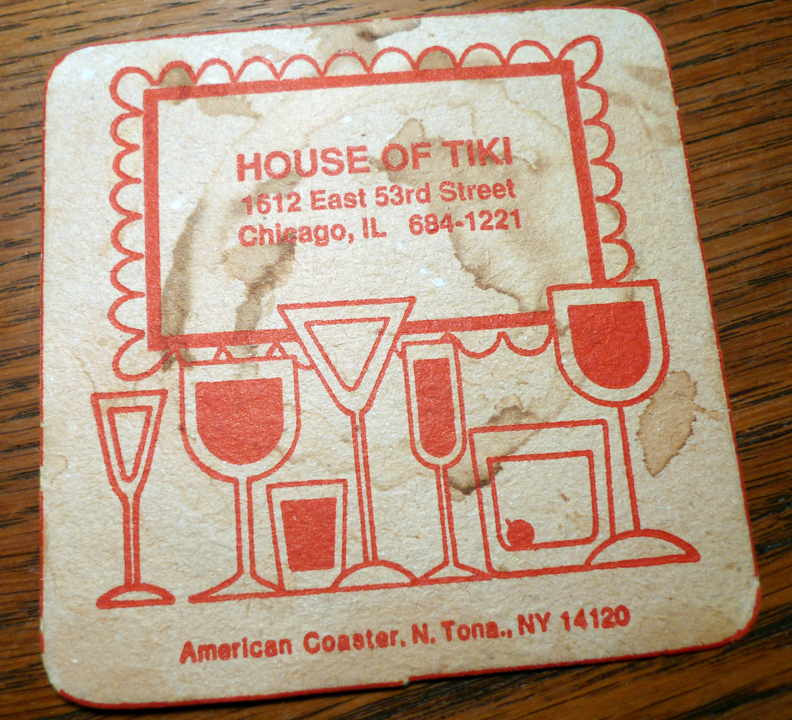 The original Tiki bars flourished for about 30 years, but fell out of vogue in the modernist revolution of the ’70s. 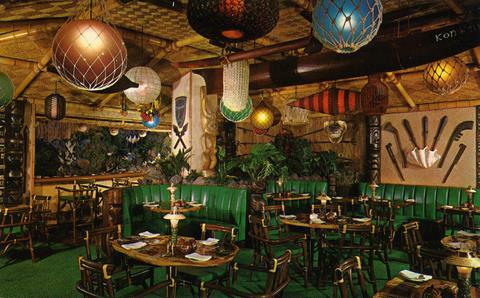 In the 1990s, the Tiki culture was revived by a new generation of fans and new tiki bars were founded all over the world, often looking to Trader Vic’s and Don the Beachcomber for inspiration. 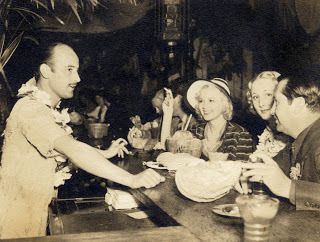 With the resurgence of tiki culture, a resurgence in the interest of the original exotic cocktails has grown as well. 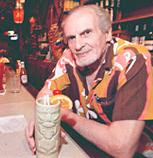 Jeff “Beachbum” Berry released several drink books containing the recipes for many of the signature drinks from long lost tiki restaurants and bars, as well as classic tiki cocktails from Trader Vic’s and Don the Beachcombers. 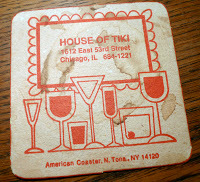 I can’t do a post on Tiki without a nod to Ciral’s House of Tiki, one of my favorite haunts back in Chicago. 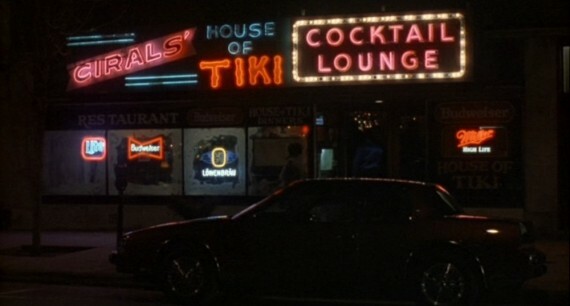 Sad to hear it closed, but I don’t remember much from my nights there anyway… place was open ’till 4:00 am and I don’t think Ted ever served me a drink that wasn’t at least 50% pure rum. 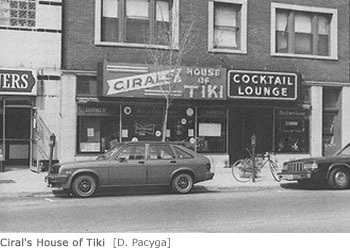 At night, Ciral’s was easily spotted via its “enormous, brightly multicolored neon “House of Tiki” sign (along with several beer signs) which made it look more like a 50’s diner by day”. I never had enough balls to try the food -usually showed up late and the clientele after midnight mostly consisted of crackheads and hookers drinking draft beer- but I heard it wasn’t bad if you got in early.